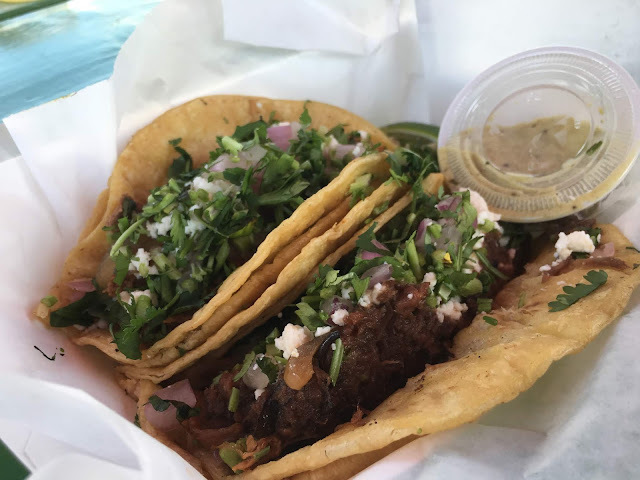 Bundles Of Joy: Food stop: Tacos Mexicanos,Pensacola. Since I moved to Florida a year ago I have been discovering places to see and things to do, haven't really posted about my Florida experiences but I will get back on track real soon. We started visiting other cities in Florida since we moved here last year and i will start posting those places once i get everything in order, we have also visited another state or two since our move. We been spending most of our weekends at the beach and finally decided it's time to move on to other experiences, discovering food places that we haven't tried before. I am not talking about the bigger name companies, we are going to start trying local food places. Starting off With Tacos Mexicanos. I am not really into Mexican food except for the tacos I make at home but why not give it a try? Tacos Mexicanos is located at 3000 N 12th avenue in Pensacola, Florida. Really easy to find if you are from around Pensacola, if not, definitely use your GPS. Like I mentioned earlier, I am not really into Mexican food, proof is when we ordered and the cook asked what we wanted in our tacos, my only answer was "surprise me". 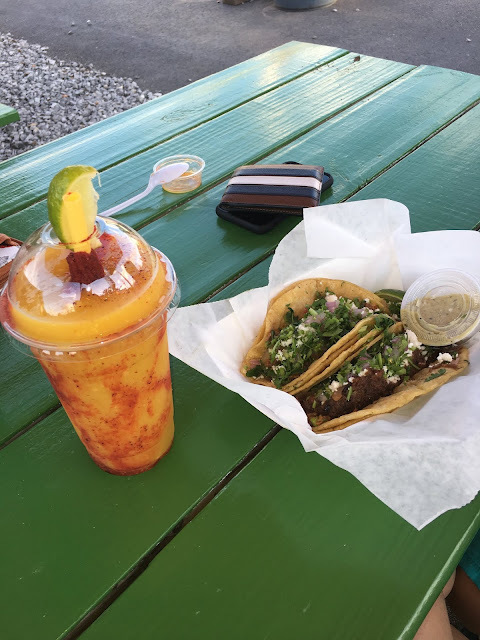 We ordered two awesome tacos for $3.50 each and a mango smoothie for $7. The tacos were okay. I believe it was beef, cottage cheese, cilantro, onions and tomatoes. For someone who is not fond of tacos I will rate it a 3 out of 5, but that does not mean it's not good. When we ordered the mango smoothie, the guy behind the counter asked us to taste it first before we order, and so we did. It was pure Mango and ice, and tamarind powder. Nice little mixture of sweetness and sourness. A little too much on the sour side. 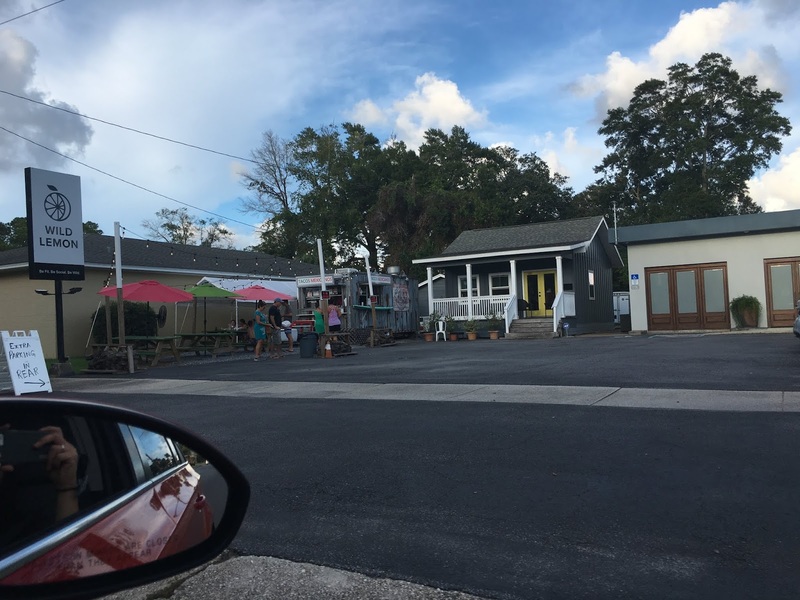 It's a great little place to eat at if you like Mexican food, but I can confidently say that this is the first and last time I'm eating there, not because it was not good because it was, just because of the same reason I keep on mentioning above. I will post it as soon as I do, while I continue discovering Pensacola and the places and beauty it has to offer.